QUEZON CITY, Philippines – After a series of water service interruption, Metro Manila and some parts of Luzon will experience yet another interruption, this time on electricity. This, after the Manila Electric Company (Meralco) announced power service interruption in several areas of the National Capital Region and nearby provinces in Luzon. Meralco said this is due to various maintenance works to be conducted in these areas. Caloocan City (Bagumbong and Camarin), April 2, Tuesday, between 9:00am and 2:00pm. Manila (Sta. Ana and Sta. Mesa), April 1, Monday, between 7:00am and 7:30am. Reason for this is the retirement of facilities affected by on-going Skyway construction along New Panaderos St. in Sta. Ana, Manila. Reason: Line conversion works along P. Noval St. in Sampaloc, Manila. This is due to the relocation of facilities and line reconductoring works along Guadalcanal St. in Sta. Mesa, Manila. Manila (Sampaloc), April 4 – 5, Thursday to Friday, between 11:30pm (Thu., 04/04/19) and 5:30am (Fri., 04/05/19) . This is because of the line conversion works along Nicanor Roxas St. (Laong Laan) in Sampaloc, Manila. Pasig City (Manggahan), March 31 – April 1, Sunday to Monday, between 11:30pm (Sun., 03/31/19) And 4:30am (Mon., 04/01/19). Reason: Relocation of facilties along Caruncho Road in Bgy. Manggahan, Pasig City. Reason: Maintenance works inside Meralco – San Miguel substation. Bulacan (Norzagaray and San Jose Del Monte City), April 6, Saturday, between 1:00am and 2:00am, and from 5:00am to 6:00am. This shall be brought about by the repair works inside Meralco – Sapang Palay substation. Barangay Sto. Cristo, Quezon City resident Marie Louise Cacapit and her child spent the night inside their car because of the power interruption in their area. “Sa sasakyan kami natulog para malamigan lang. Wala na ngang tubig wala ng kuryente napakinit pa ng panahon, maiiyak kana sa sobrang init, (We slept in the car just to cool ourselves off. There’s no water, no power and then with this heat)” she said. Residents in Metro Manila and other parts of Luzon experienced a three-hour power outage, according to National Grid Corporation of the Philippines (NGCP). Carmelito Inocencio, also a resident of Barangay Sto. Cristo Quezon City slept on the floor because of the extreme heat. “Sobra talagang init grabe talaga, sa sahig na ako umano—sa semento para mahanginan, dito ako malamigan, (It was too hot, I slept on the floor just to feel the cold)” he said. Thousands of residents in Metro Manila and other provinces in Luzon region including Caloocan, Parañaque, and parts of Bulacan and Cavite were affected by the three-hour power interruption. National Grid Corporation of the Philippines (NGCP) declared a red alert status on Friday (April 12) for 13 hours, from 9:00 a.m. to 10:00 p.m.
NGCP’s data showed that power demand peaked at 10,334 megawatts while the available capacity is only 10,220 megawatts. The Manila Electric Company (Meraclo) will have three-hour rotational power interruption for its customers to compensate for the low power reserve. Meralco Spokesperson Joe Zaldarriaga said there is not enough power reserves. “Ngayon negative, ibig sabihin wala na talaga tayong mapagkukunang reserba. In fact, deficiency na tayo. Kapag sinabing red alert it means wala ka nang makukuhang reserba para punuan ang pagkukulang, (Now it’s negative. Meaning we have no reserves. In fact, there is a deficiency [in supply]. Red alert means there are no more reserves to fill the demand)” he said. According to the Department of Energy (DOE) they did not expect the power supply situation to reach the red alert status. DOE Spokesperson Usec. Felix William Fuentebella said four power plants already shutdown. “Nagkaroon ng shutdown, nadagdag itong planta na bumigay. So apat na planta plus this on 150MW lumala sitwasyon, (Another power plant shut down. So from four power plants that shutdown plus this one. The situation is getting worse)” he said. The energy department expects a new alert status by Saturday (April 13). During a press briefing on Friday (April 12), Manila Electric Company (Meralco) assured that there will be no power outages during the May elections. Company spokesman Jose Zaldarriaga said they already have contingency measures including forming a task force to make sure the elections this coming May will run smoothly. “Contingency measures are in place to make sure uninterrupted elections,” he said. They will also dispatch mobile generator sets to critical areas that might be affected by the power outages. “Kasama diyan ang pag-dispacth ng mga (These include dispatching) mobile gen sets in areas we deem as critical to ensure that there will be no power outages in the precinct and the canvassing centers,” he said. 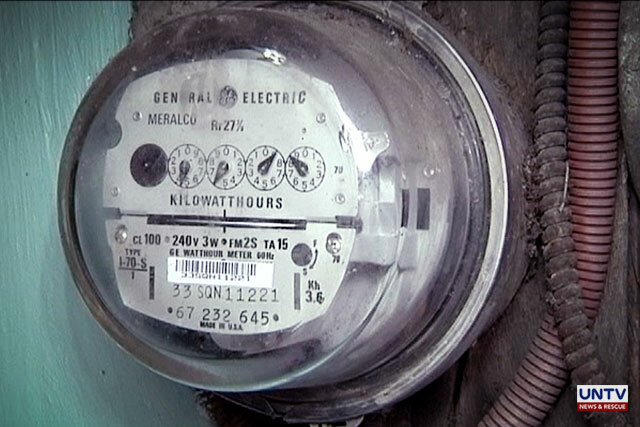 MANILA, Philippines – Power consumers would have to pay more for their April electricity bills as the Manila Electric Company (Meralco) has announced an increase in its rates by P0.063 per kilowatt-hour (kwh). This translates to an additional P12.60 for a household that consumes 200 kwh a month and as much as P31.50 for those using 500 kwh per month. Meralco attributed it primarily to higher charges in the wholesale electricity spot market (WESM); weakening peso against dollar exchange; and higher generation charges. Although the rate hike is considered minimal, the utility company still urges households to conserve energy by unplugging unused gadgets and to use their appliances efficiently. The power rate hike announcement comes amid a series of yellow alert status on supply in the Luzon grid. Yellow alert is the second highest alert being declared by the National Grid Corporation of the Philippines (NGCP) when power supply thins due to increased demand. On Monday (April 8), the NGCP has placed Luzon grid on yellow alert from 2 p.m. to 4 p.m., the sixth day since Monday last week. The grid’s current available capacity is only 11,267 megawatts (MW) compared to the peak demand of 10,438MW. The Department of Energy said upticks in prices in the spot market have been observed last week as a result of the thinning of Luzon power supply. Meralco has indicated that the yellow alert will have an impact on its overall rates for May but it has yet to determine the exact amount. “So the whole week last week, we have five days of yellow alert and then today we have another yellow alert. So, that will affect spot market prices once more which may affect generation charge,” said Meralco Utilities and Economics Head, Larry Fernandez.